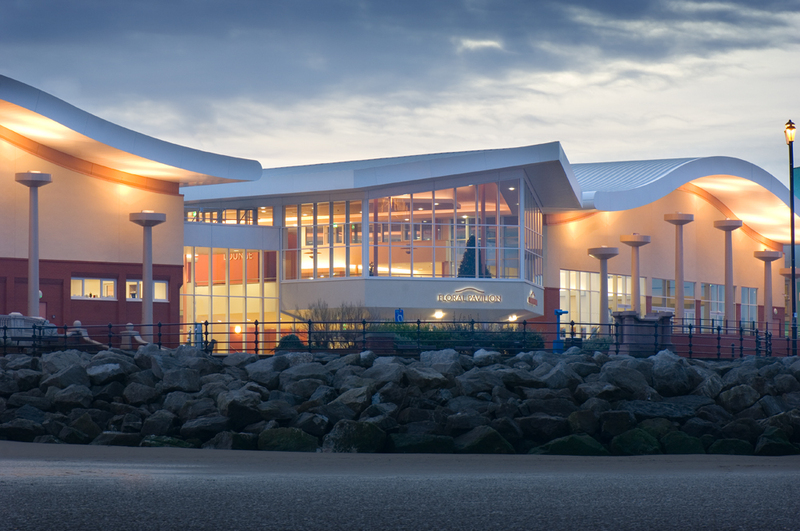 Floral Pavilion formed the first phase of the multi-million-pound New Brighton regeneration programme. The scheme involved the redevelopment of the Old Floral Pavilion theatre to provide a new 800 seat Auditorium, exhibition and conference facilities. The £12 million scheme was opened in 2011 and was funded by using NWDA and Objective 1 resources.